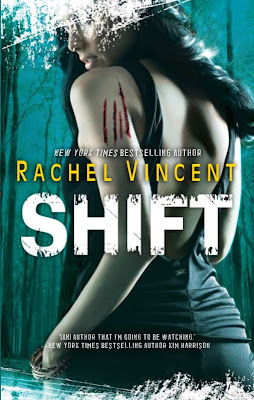 Rachel Vincent has posted the official cover blurb for the next Shifters book, appropriately titled Shift. Tomorrow Rachel will be posting a short excerpt of the book at the Deadline Dames. There are spoilers from Prey so proceed at your own risk. I just found out, minutes ago, that there are two books yet to be released. I thought shift was the last. That bit of new really made my day. This was the first shifting series I read and I REALLY enjoyed it. I can't wait for this book. I still haven't starting reading Prey but this series is one of my top favorites. I'm so glad she continued to write more into the series, and look forward to all of her upcoming books. Oh boy, another Rachel Vincent Shifter book for me (and my dad) to read. Love it! Elnice if you don't follow Rachel's blog you should give it a try. She does wonderful updates and it is always interesting when she talks about the craft of writing. Falling Off the Shelf Prey was my favourite to date. They just keep getting better. Persevere rebrebs, it's worth it. 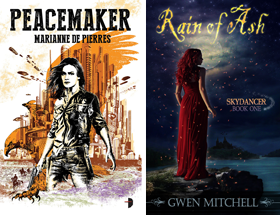 Faythe is spoiled and bratty in the beginning, but Vincent does a terrific job of growing the character with each book. It's the kind of journey I like.